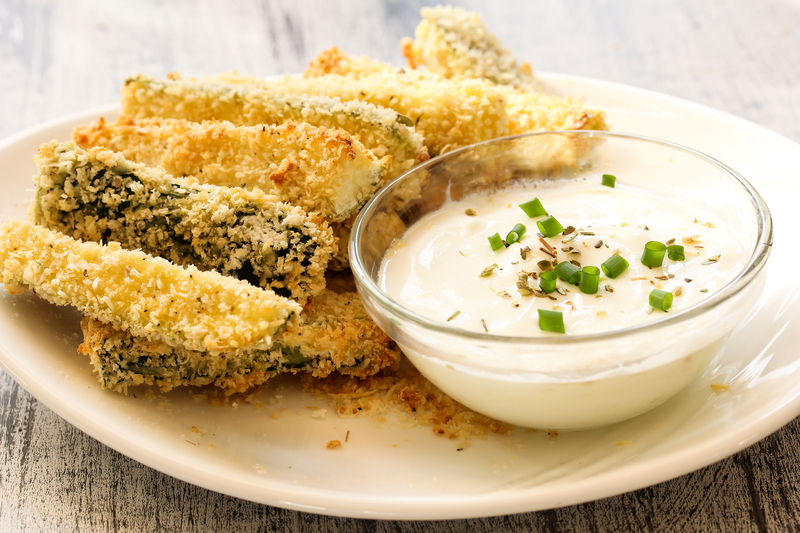 Transform zucchini into a crisp fry. Your kids won’t even know that they are eating veggies. These are great alongside a sandwich or you can serve them as a snack or an appetizer. The squeeze of lemon at the end really makes the fries extra delicious. Place the zucchini in a colander and sprinkle with salt. Set aside for 15 minutes. Put the zucchini in a towel and wring out the liquid. Grease a baking sheet and place a sheet of wax paper or parchment paper on the bottom. Bring the water and Massel Ultracubes to a simmer over medium heat. Gradually pour in the chickpea flour while whisking constantly. Season with salt and pepper. Once all the flour is in, whisk rapidly until the mixture is thick and most of the lumps have been worked out; it will look like a thick pancake batter (about 1 minute). Take care to adjust the heat so that the batter doesn’t boil or it will become too thick. Stir in zucchini. Pour the mixture into the prepared pan and smooth out with a spatula. Refrigerate until cool (about 1 hour). In a heavy bottomed pot, add olive oil for deep frying. Heat oil to 370°F. Flip the set chickpea mixture onto a cutting board, peel off the paper, and cut into fries. Working in batches, as to not overcrowd the pan, add the fries. Cook 3 to 4 minutes or until golden brown. Remove fries with a slotted utensil to a dish lined with paper towel, and season immediately with Massel All Purpose Bouillon and Seasoning Granules. Serve immediately with lots of wedges of lemon to squeeze on the fries. You can make this ahead of time and just fry up when your family is ready. The mixture will keep for about 36 hours in the fridge.